When things get scary, it’s nice to know that Odd is on our side. 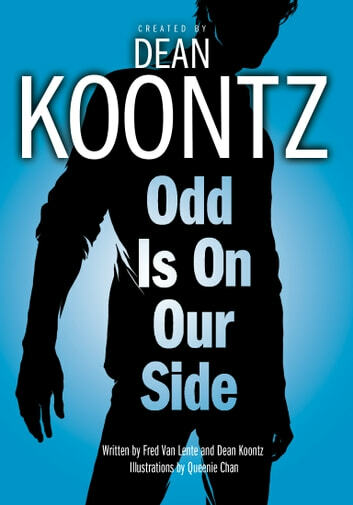 The one and only Odd Thomas is back—in his second edgy and enthralling graphic-novel adventure from #1 New York Times bestselling suspense master Dean Koontz. It’s Halloween in Pico Mundo, California, and there’s a whiff of something wicked in the autumn air. While the town prepares for its annual festivities, young fry cook Odd Thomas can’t shake the feeling that make-believe goblins and ghouls aren’t the only things on the prowl. And he should know, since he can see what others cannot: the spirits of the restless dead. But even his frequent visitor, the specter of Elvis Presley, can’t seem to point Odd in the right direction. 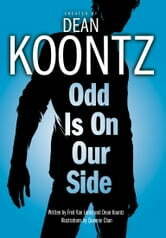 With the help of his gun-toting girlfriend, Stormy, Odd is out to uncover the terrible truth. Is something sinister afoot in the remote barn guarded by devilish masked men? Has All Hallows Eve mischief taken a malevolent turn? Or is the pleading ghost of a trick-or-treater a frightening omen of doom?